These Eucharistic ministers provide the Eucharist and a prayerful visit to Catholic patients in the Sierra Vista Regional Health Center and nursing homes. This ministry is performed on Sundays. 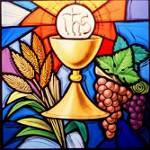 Training in the proper handling and distribution of the Holy Eucharist is provided.